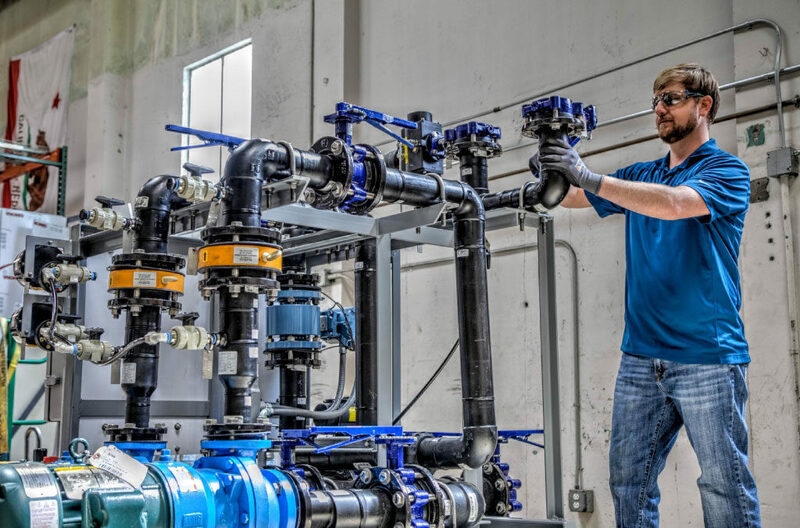 Frontier Water Systems helps US heavy industry treat wastewater through its innovative and modular solutions.  From helping define the new brand’s essence to ongoing creative consulting as the company quickly grew, Four Fin has been Frontier’s branding partner since 2013. 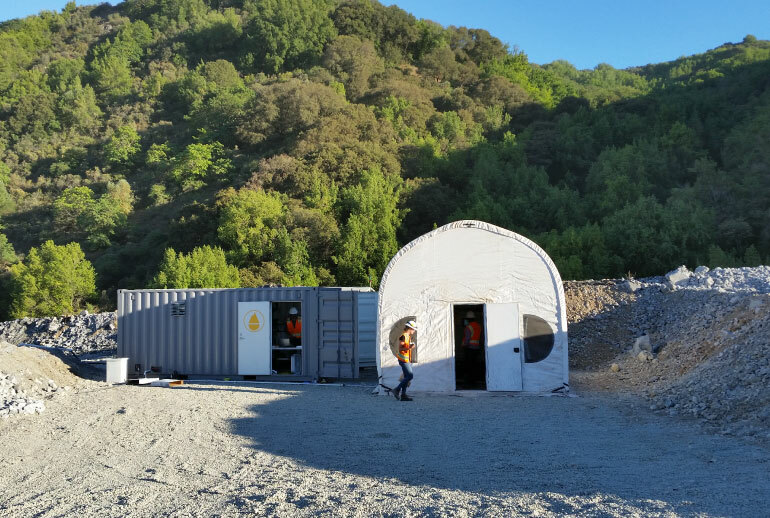 Taking an innovative approach, while appealing to a traditional market. The new company would be going head to head with several leading global brands and had limits in what it could initially say about itself, but still needed to establish its presence. The new brand had to resonate with an historically conservative audience (big industry clients) while also appropriately communicating its eco-forward innovations. Together we discovered the essence of their brand and their promise in the marketplace: Innovation. 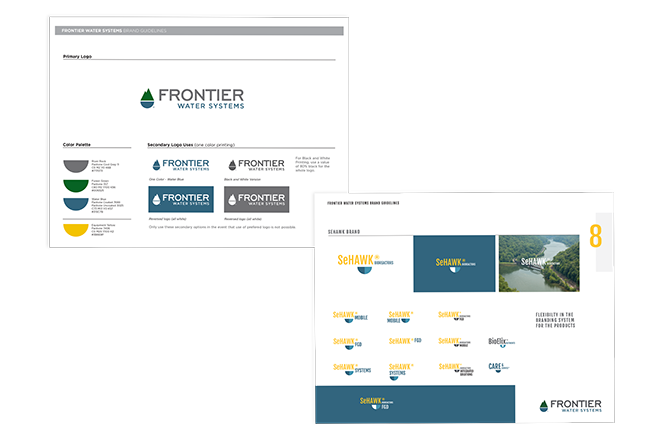 We named the new company ‘Frontier Water Systems’ and created an identity system that communicates just enough professionalism with a nod to the environment. 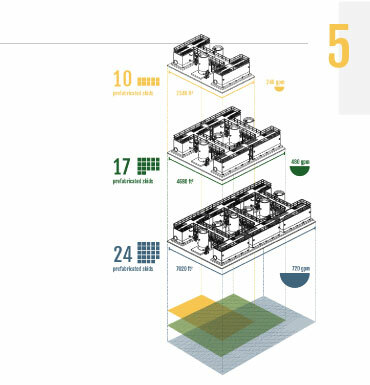 We designed and developed other key applications for the brand; a website and design language, custom process diagrams and screens, stationery system, and environmental design elements. 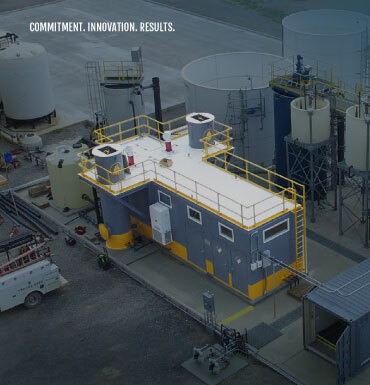 We’ve kept their direct tone for communicating, letting the innovative products and results sell themselves. Keeping corporate communications honest and direct. Results prove themselves. 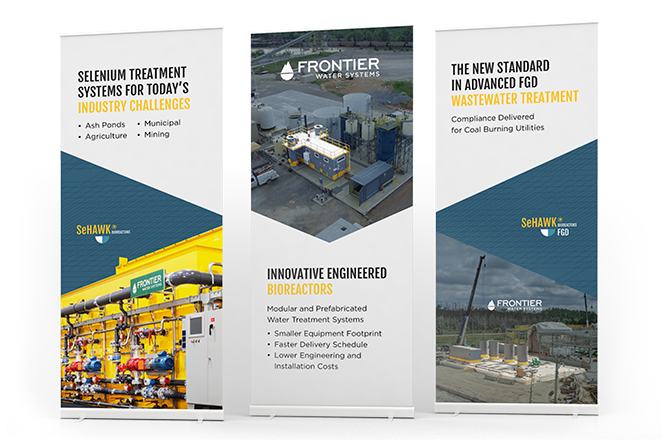 Since entering the market, Frontier quickly grew to be a leader in wastewater treatment. 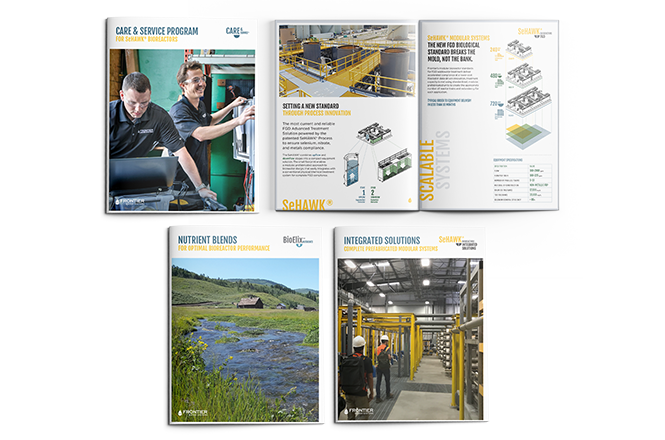 Four Fin has continued our partnership over the years as they have grown in size, expanded into new markets and continued to develop new product-lines.